Treasure hunters have used many unique means to find hidden riches. But what happens when it’s a spirit giving you a buried treasure map? Wendy Kolie tells the story in Legends and Lost Treasure of Northern Ohio! In 1868, the Cleveland Plain Dealer reported that “it” was on the rampage. The New York Tribune, in the same year, noted that “in Youngstown, Canton, Warren, Tiffin, Mansfield, Akron and Elyria there is a perfect craze over it.” This item of craze was a small, heart-shaped piece of wood with tiny wheels and a pencil set through the center. When placed on a sheet of paper, the piece would, if not moody, answer some questions. What better question than one about hidden treasures? 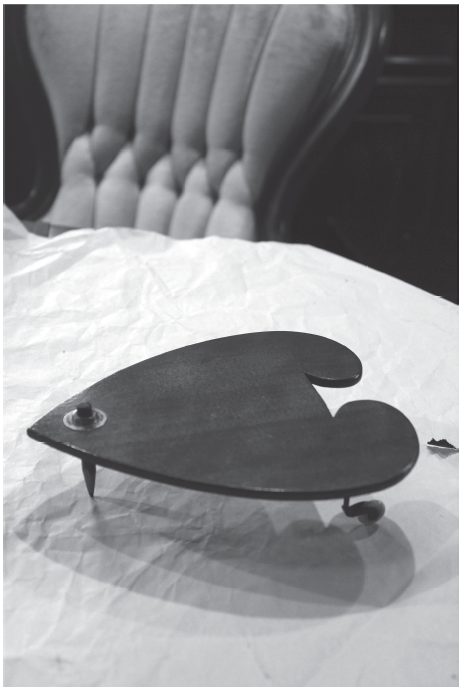 The planchette was an early version of the Ouiji Board. Originating in the Victorian era during the Spiritualism movement, the board was believed to be able to answer questions from and communicate with the dead. The device was popular among those who wished to explore the religion but for the most part was disregarded as a powerless oddity. However, in 1867, a six-page article ran in an English newspaper about the power of the planchette. The author attested to the miraculous capabilities of the plank and how his life was better because he listened to its instructions. American papers picked the story up, and within weeks, the planchette was in high demand by the public. 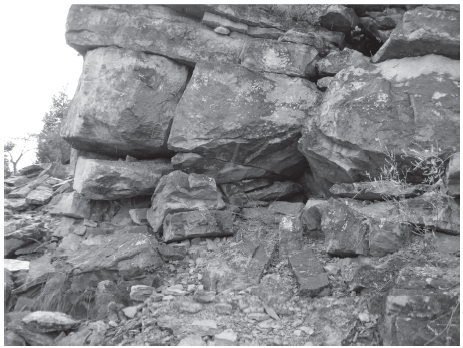 In 1868, the item could be found just about everywhere. People often hosted planchette parties, as the plank generally needed three people to play. Two would sit at the table and hold the board, while one sat across the room and asked the questions. Eventually, the device found its way to a tiny island in Lake Erie—Kelley’s Island. In her book Kelley’s Island 1866–1871: The Lodge, Suffrage & Baseball, Leslie Korenco writes, “One can assume that most everyone tried it at one time.” George Bristol, after ten days of sawing wood, tying up grapes and hoeing potatoes, wrote that on January 18 he “worked at Planchette in afternoon.” The planchette was a source of entertainment and intrigue for islanders. However, two young men took their messages from the spirits quite seriously. Apparently, the planchette told the two friends that treasure was to be had on their island. This treasure could be found with the body of an Indian chief buried under limestone on a little mountain. He supposedly had $18,000 worth of loot in his grave. 7:00 p.m. After about a month, they had burrowed a hole twelve feet deep and eight feet square. Continuing for three months, the men were relentless in their search. Sadly, however, the partners could not find the treasure and eventually called it quits. Meanwhile, Christians in America were protesting the use of the board. The Catholic Church “denounced the item as a diabolical invention.” The church also threatened to excommunicate any members found toying with the object. As the Spiritualism movement faded out and the Christian churches preached against it, the planchette faded from popularity by the 1870s. Later, the new planchette, originating in Ohio, would bring the spirit board back into the spotlight. As for the treasure of Kelley’s Island, it was never found, but not from lack of trying.